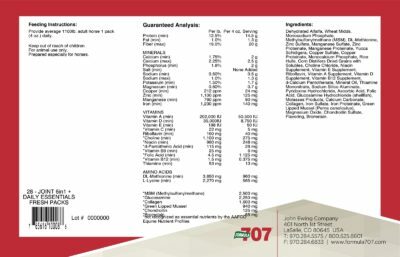 Formula 707® LifeCare® Joint 6-in-1 + Daily Essentials is now available in Daily Fresh Packs®! 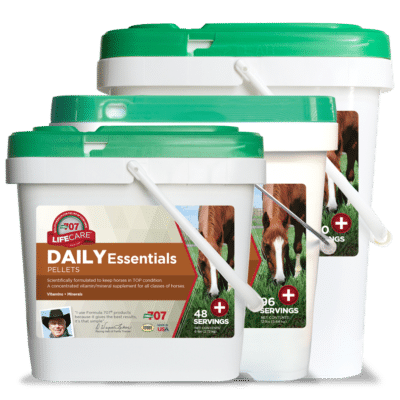 The perfect combination to promote overall wellness and complete joint and ligament support for active and senior horses. 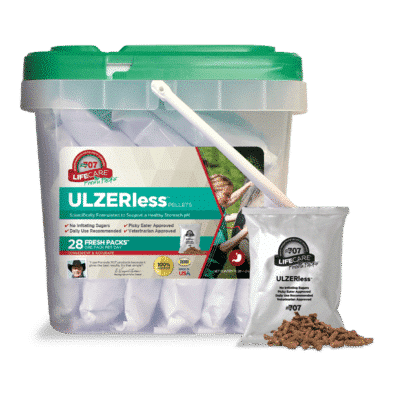 Includes collagen, glucosamine, chondroitin, MSM, bromelain and green-lipped mussel to aid in the reduction of inflammation, support soft tissues, enhance lubrication in your horse’s joints. 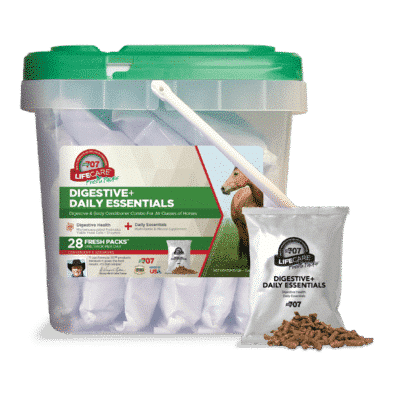 Joint 6-in-1 + Daily Essentials Combo Fresh Packs make it easy to ensure your active horses are receiving all of the nutritional support they need. 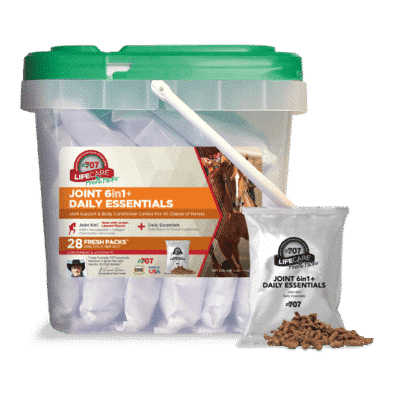 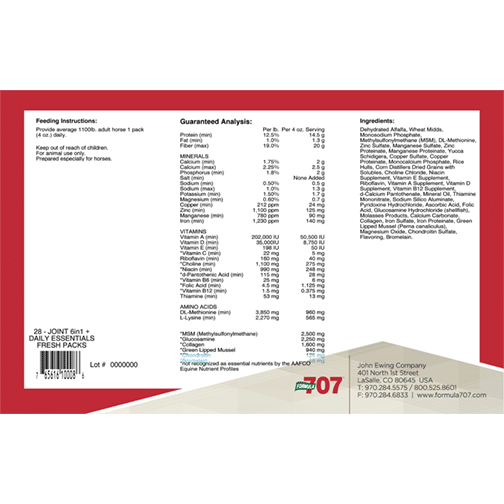 Formula 707 Joint 6-in-1 contains COMPLETE support for your horse’s cartilage, tendons, ligaments and joints, and Daily Essentials is a comprehensive vitamin and mineral formula designed to support overall health and condition. Our Combo Fresh Packs are accurate, convenient, affordable and palatable.